Geneva Belden cuts up cucumber for her guinea pig, Pretty Girl, at her home in Bangor on Jan. 19. Belden fell on two occasions under the watch of service provider Branches. While those injuries were not necessarily caused by abuse or neglect, the state should have investigated those cases but never did. The Maine Department of Health and Human Services failed to investigate the deaths of all 133 people with developmental disabilities who died between January 2013 and June 2015 while under the care of community-based providers across the state, and, as a result, failed to report suspicious deaths to law enforcement agencies to determine if crimes had been committed, according to a federal audit released Thursday. In addition, when community providers who care for adults with disabilities told the department about suspected cases of people being physically or verbally abused, neglected, exploited, sexually abused or subject to medication errors — to the point where they required emergency hospitalization — the state accepted only 5 percent of cases, or 767 out of a total of 15,897, for an adult protective investigation. It did not refer all of the cases to a district attorney or police department for an additional, potential criminal investigation. By not investigating all of these allegations of harm, the state failed to live up to the terms of an agreement with the federal government to provide home and community-based services to Medicaid beneficiaries, according to the Office of the Inspector General for the U.S. Department of Health and Human Services, which performed the audit. In addition, Maine DHHS didn’t follow state law, which requires the department to “immediately” inform the appropriate district attorney’s office of suspected abuse, neglect or exploitation. The report is the latest from the Office of the Inspector General, which has been investigating states’ handling of deaths and abuse of residents with developmental disabilities. It completed similar reviews in Connecticut and Massachusetts where it also found significant shortcomings in those states’ responses to potential cases of harm against people with generally limited means to defend and care for themselves. Maine DHHS responded by saying that it did investigate some of the deaths — 54 out of 133. But auditors found the investigations weren’t nearly as comprehensive as the state’s own rules require. For instance, all the state could provide auditors was a spreadsheet with the 54 beneficiary names and general information about each death. It did not contain details about what the state’s reviews entailed or the outcomes, such as whether corrective action was needed. In addition, Maine DHHS said every report alleging abuse, neglect or exploitation “underwent an assessment.” But because the incidents were not assigned to an investigator, and there was no written report with findings, conclusions and recommendations, the inspector general’s office concluded that the state couldn’t claim to have conducted an investigation as required. “Making a couple notes somewhere and not entering it into the formal reporting system isn’t good enough. You’ve got to gather, evaluate facts, make findings and document your conclusions. You’ve got to write the whole thing up,” Roy said. After doing fieldwork between October 2015 and December 2016, the inspector general’s office determined that, overall, “Maine failed to demonstrate that it has a system to ensure the health, welfare, and safety” of the 2,640 people with developmental disabilities who qualify for Medicaid services that allow them to reside in community-based settings such as group homes, shared living arrangements and private family homes. 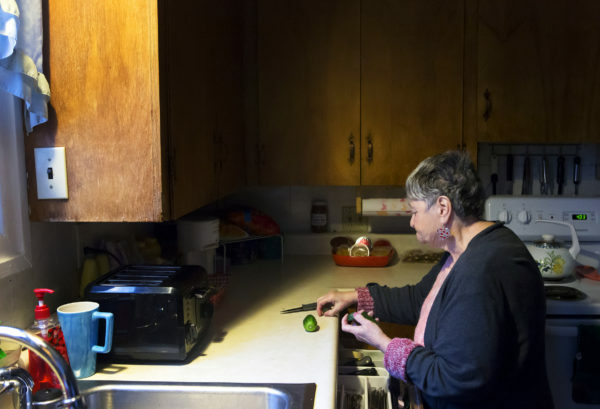 The adults are able to live in home settings in communities across the state — rather than in state-run institutions — because Maine has special permission from the federal government that allows the state to use Medicaid to pay their bills. The federal government picks up about two-thirds of Medicaid costs. In exchange for this permission, granted through a special waiver, Maine has to assure the federal government that it will keep residents safe. That includes ensuring that service providers report critical incidents to the state’s Adult Protective Services unit and that they conduct internal reviews of those incidents and submit their findings to the state. Critical incidents are wide ranging, including medication errors made by group home staff members, use of restraints on residents, serious injuries and suicidal behavior. Under the terms of its waiver, the state is required to investigate a subset of those incidents: any that involve suspected abuse, neglect, exploitation and death. And state law requires that Maine DHHS report the incidents involving suspected abuse, neglect and exploitation to law enforcement. The inspector general’s report, however, found that the state rarely followed through with any of these requirements. The inspector general’s office also found that the community-based providers did not always conduct administrative reviews to pinpoint the cause of a critical incident, recommend preventive or corrective action, and report the findings to the state. That’s because, the providers told auditors, the state in late 2012 or early 2013 asked them not to. Though the state refutes the assertion that it instructed providers to not perform or submit their administrative reviews, the audit questioned why the state, then, couldn’t account for 8,678 missing reports. The audit also noted that hospital personnel who treated adults with developmental disabilities brought to the emergency room rarely made required reports of suspected abuse, neglect and exploitation to the state. With the inspector general’s report published, the state needs to develop a corrective action plan to address the report’s findings. It falls to the federal Centers for Medicare and Medicaid Services, or CMS, to monitor the state’s progress in addressing the inspector general’s recommendations, Roy said. Maine’s waiver that allows it to use Medicaid funds to pay for adults with developmental disabilities to live in group homes is next up for renewal in June 2018. A regional spokesman for CMS, the agency that will determine whether to renew Maine’s waiver, didn’t have information Wednesday afternoon on whether the inspector general’s findings could harm the state’s chances of having its waiver renewed. The inspector general’s report recommended Maine DHHS make a number of changes, including the following: work with community-based providers to ensure they report all critical incidents and conduct administrative reviews; analyze trends to help providers better identify and prevent cases of harm; investigate and immediately report to prosecutors or law enforcement all incidents involving suspected abuse, neglect or exploitation; and provide training to state officials and community provider staff about how to meet all state requirements. In a written response to the audit report, Maine DHHS Acting Commissioner Ricker Hamilton said his agency has already adopted many of the inspector general’s recommendations. However, he contested the auditors’ finding that DHHS didn’t comply with the terms of its waiver agreement and state and federal regulations. Hamilton oversaw the DHHS office responsible for Adult Protective Services both as its director and then as a deputy commissioner before becoming acting commissioner earlier this year.